An American blogger who stumbled upon a near flawless fake Apple Store in China has become an Internet sensation after her post went viral and triggered a feisty debate about piracy in the world’s second largest economy. The 27-year-old, who goes by the name “BirdAbroad“, said her story about the fake store in the southwestern city of Kunming had attracted nearly 1 million hits over the past three days after it caught the imagination of the world’s media. A search on Google showed nearly 1,000 media outlets picked up the story and pictures of the fake store, with the topic one of the most talked-about subjects on Twitter and Chinese Internet sites. 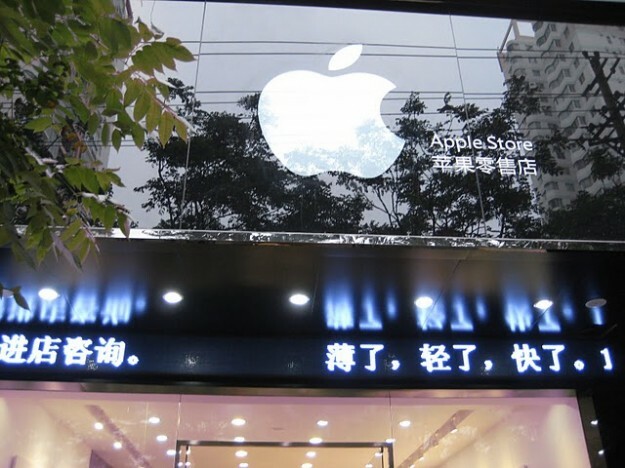 “I originally put the post up not because it was news that Western brands get ripped off in China, but because these Apple stores had taken the fakery up a serious notch to the point where it’s practically a work of art in itself,” the blogger, who works for an international health organization, told Reuters in an email. She wrote in the post that she found the store while strolling down a street with her husband a few blocks from their apartment. Complete with the white Apple logo, wooden tables and cheery staff who appeared to genuinely believe they worked for the iPhone maker, the store looks every bit like Apple Stores found all over the world. 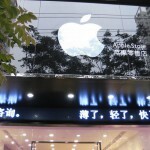 But Apple has no stores in Kunming and only 13 authorized resellers in the city. “I did actually email the blog post to Steve Jobs when I first put it up, purely for fun. Sufficed to say, he has not responded,” said the blogger, who declined to be named. After the stir provoked by her first blog, titled “Are you listening, Steve Jobs”, the woman invited readers to send their photographs of fake Apple stores worldwide — and has received responses from place including Costa Rica, Caracas and Vietnam. “You just made me realize, I, too, have been in a fake Apple Store without knowing it! While I was living in BogotÃ¡, Colombia last year I found an Apple Store in the middle of a very trendy area of the city,” wrote a reader named Laura. Apple, which was slow to establish its brand in China, has just four retail outlets in Beijing and Shanghai, and plans two more this year. But the immense popularity of its iPads, iPhones and MacBook computers has spurred a bumper crop of resellers with dubious credentials. The blogger has been flooded with interview requests from journalists and hundreds of others keen to repost her article and pictures.